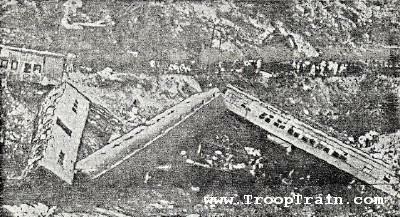 This weeks train derailment in Philadelphia brought back memories of the famous train wreck of July 6,1944 that happened in our area in which 34 solders died and over 100 were injured. It was one of the worst train disasters in US history. Ironically, just like the Philadelphia wreck, excessive speed was the leading cause of this derailment. Troop trail wreck near Jellico. I remember my Uncle Paul Martin, who owned Martin Funeral Homes in Clinton and Lake City at the time, telling me about this wreck and how all area funeral home sent ambulances (funeral homes were in the ambulance business back then) up to Jellico to help pick up solders and transport them back to local hospitals. Do you have any recollections about this event? I would assume that the old Lake City Hospital took in some of the injured. Post your comments on Facebook.